It rained all day today and the visibility was very poor so we skipped stopping in Calgary and continued our way east, discovering the town of Vulcan (population less than 2,000). The town has built on its name being also Spock's homeworld and built a replica of the Enterprise at the entrance to the town, changed its street signs, themed its welcome centre and hosts an annual Star Trek convention. 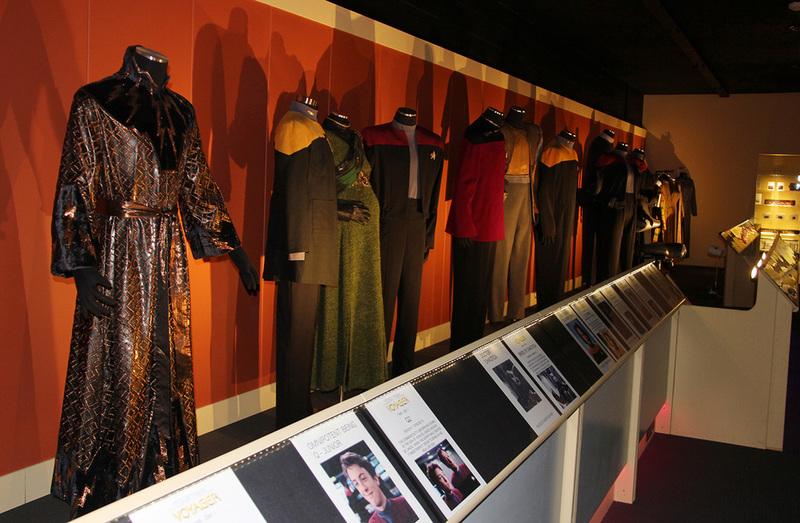 A private Star Trek museum opened in 2010 and we checked it out. We also chatted to the curator/owner who is an old cowboy from Montana who had bit parts in a number of westerns and told us some interesting stories. His father hosted parties when some of the Hollywood crowd came out to make films and he remembers, as a little boy, being given a horsey-back ride by a big man at one of his father's parties and later asking him who the creepy old guy was. He was none the wiser when his dad told him. He had never heard of John Wayne. Here's a slideshow of some of the exhibits and props that he has collected over recent years. WARNING: very geeky! May not be interesting to normal people!